The April edition of Star Trek Online‘s ‘Ask Cryptic’ answers questions regarding ground combat, starbases, and more. Here’s a few of those questions. For a full list, head on over to the official Star Trek Online website. Q: deeboboy Are there any intentions of making ground pvp first person shooter like star trek elite force? A: Elite Force was a great use of the Quake III Arena engine, and while MMOs are much different underneath the hood (dealing with a wealth of additional client to database transactions for starters) there are some first person shooter aesthetics we are considering optional as part of our ground combat updates. For example, players will have the option to switch to a reticle aiming mode, where instead of tab or select targeting an enemy, you can aim your reticle over a target to select it, and then use mouse buttons for primary, secondary, or tertiary firing. That is only a secondary and optional portion of the ground combat changes. The biggest changes you will notice is the increase in responsiveness when using your weapons. Our goal is to have weapons respond as fast as possible when you click an attack power. This involves various speed improvements such as reducing the frames between when you click a power and when the client registers the input, to reducing frames for various weapon powers to animate, to speeding up FX times for the weapon to draw on screen and then matching audio to this new speed. The end result is that when you click to fire your weapon, it should feel much more responsive and give you a greater sense of control. Q: picardalpha2clearance What is the ETA for voice chat in game and will there be a special hailing UI? Also, Is the new ground combat going to have a cover system? A: The Vivox voice chat integration will go live when Season 4 releases this summer and there will be in game UI to control the voice chat features. Cover systems have become a staple of shooter games such as Gears of War, Uncharted, and Call of Duty. Even other games such as Grand Theft Auto and Mass Effect have included some sort of cover system. In traditional MMOs, cover systems have always taken the form of line of sight agro. It would take a significant effort from the ground up to add a more FPS-like cover system to an MMO and as much as we’d like to do something like that in STO, it is outside of our schedule at the moment – because in many ways it has to be implemented in direct relationship to the location you are running through, and with so many locations in STO, it is a daunting task. So the one thing we have and will continue to focus on is the traditional line of sight agro model. As part of our ground combat update we will be tuning our LOS rules so that if you manage to duck around a corner or break LOS with your enemy, they will be more likely to switch agro to something that they can see. This has been in the game for a while, but something we are fine tuning to make it more obvious. Q: DecadeComplete How’s the T5 Constitution Refit-Refit that was in a recent engineering report doing? Will there ever be a way to purchase “Ship Slots” and “Costume Slots” in game with say 1Mil EC or so? A: We are working to add more variations to existing ships for both factions and one of the ships they are working on is an additional Constitution refit; however there has been no confirmation that this is a top tier ship. Geko can add more details as we get closer to Season 4 release, but for now, I can only say that we are working with CBS on an alternative refit design. As far as making ship and costume slots available for in game currency, we are considering finding a way we could offer them for in game currency, or in the case of ship slots, have the ships come with slots as part of the purchase price. Q Narosian: How is the ground combat revamp coming along and when can we expect it to hit Tribble? A: Kit changes are mostly done. Power bar speedup is mostly done. We have prototype weapons done for pistols and most rifles, and are now working on the assault weapons. Once the prototypes are done, then we need to propagate all the changes to the thousands of weapon items in the game. We expect to have the first batch ready for testing towards the end of May. Q GreatMaker69: Is it possible to have someone assigned as a specialist in developing each aspect of the game? And when are we going to have starbases to call home? A: For as massive a game as Star Trek is, each individual on our small team is a specialist in their own field and unfortunately that means they have to cover ALL issues and content related to their discipline. For example, CaptainLogan is our ship specialist and has to deal with all art related issues to ships. Jesse, Gozer, and Charles are our content designers and they must cover development of all the content in the game, so they don’t have the luxury of only doing one type of content. We must manage their time across all the parts of the game and they are constantly busy working on as many different parts of the game as they can handle. As far as Starbases go, now that the Foundry is out and live, we anticipate the next major feature to the Foundry being the ability for Fleets to design and run their own Starbases. This is a monumental addition to the Foundry, so don’t expect it right away, but it is the next big thing for that feature. 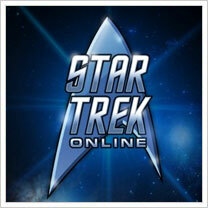 You can read the full list of questions over on the official Star Trek Online website.